The Administration’s budget proposal for fiscal year 2020, which begins on October 1, 2019, was released to Congress on March 18, 2019, requesting the elimination of the Marine Mammal Commission (Commission) for the third consecutive year. I regret having to share this news with you and express my concern about the impact this proposal would have on the American public, marine mammals, and our marine and coastal communities. In the early 1970s, in response to the American public’s concern, widespread recognition that marine mammals are important ocean ambassadors, and an understanding that they play a critical role in the health and productivity of our world’s oceans, Congress passed the Marine Mammal Protection Act (MMPA). This legislation firmly placed the United States at the forefront of marine mammal and marine ecosystem conservation. It also supported coastal economies that generate significant revenues and jobs from healthy populations of marine mammals. 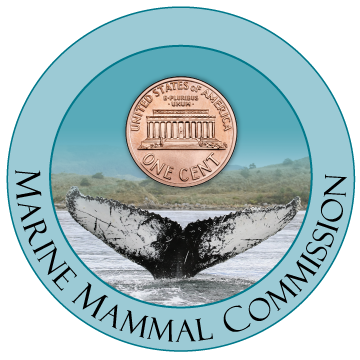 As mandated by the MMPA, the Commission has, for nearly half a century, provided independent, science based oversight of federal activities and programs affecting marine mammals—a function performed by no other agency. The Commission sits at the juncture where science, policy, and economic factors are reconciled to meet the mandates of the MMPA, which balance the demands of human activities with the protection of marine mammals and the environment that sustains them. This role helps ensure an effective and efficient regulatory process that abides by Congressional directives, takes into account all stakeholder views, and is based on the best available science. We excel at bringing people together to find solutions to problems before they become crises. We fund critical, low-cost research projects designed to achieve a large impact. We work to ensure the health of marine mammal populations in our oceans and we protect the subsistence hunting rights of Alaska Natives. We proudly performed these and other duties this past year with a modest annual operating budget of $3.516 million, which comes to just over 1 penny per American per year. We have proudly served you to ensure that whales, manatees, dolphins, seals, sea otters, and other marine mammals survive for generations of Americans to come. Two recent Federal Employee Surveys ranked the Commission number one in the U.S. government for overall employee engagement and satisfaction, showcasing the level of commitment and motivation of its staff. Employees of the Commission remain committed to you and the marine life that has kept us in collective awe for centuries.